Today’s consumer is more conscientious about not only what they are buying, but the sources of those products as well. There is a growing interest in companies that are “green”, and supporting social causes, such as, the #BeCrueltyFree movement. Interestingly, this is a significant concern for millennials as the generation becomes a large population of key players in the marketplace. Many companies have made more environmentally and socially conscious business practice decisions in response to millennial influence. 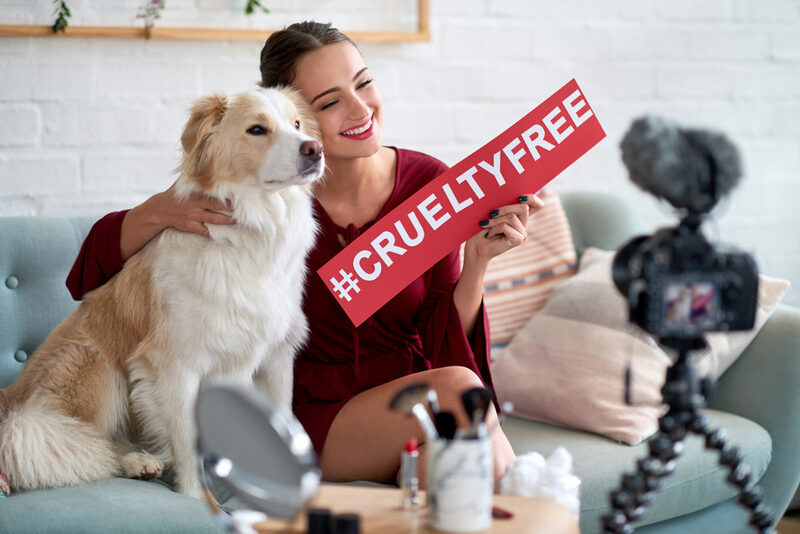 What is the Cruelty-Free Movement? A common misconception about the cruelty-free movement is that all the products are vegan. This is not entirely accurate. A vegan product does not contain any animal products at all. Products under the cruelty-free movement may contain animal products like beeswax or honey, but those products are not tested on animals. Another misconception is that a cruelty-free product does not use animal testing at any point in the supply chain. However, some companies that claim cruelty-free only apply it to the finished product. Cruelty-free certifications like the Leaping Bunny certification allow qualifying companies to register with them. Once the certification has been provided, they can display the Leaping Bunny seal on their cruelty-free product labeling and advertising. To qualify, a company must be animal free across the entire supply chain. As the cruelty-free movement has become more visible and active, a growing number of companies are looking at alternative methods to animal testing. Many of these alternatives have proven to be more accurate, more cost-effective, and much more scientifically relevant than animal testing. The significant genetic differences between animals and humans create a rather large variance in accuracy which can skew may results. Companies that choose non-animal testing methods usually discover a number of surprising benefits for their decision. From results that impact their bottom line, to consumer approval, they often find that choosing to go with non-animal testing methods is a smart business decision. Previous Previous post: Will the FDA Take Further Steps to Reduce Animal Testing in Cosmetics? Next Next post: Could Ukraine be the Next Country to Ban Animal Testing on Cosmetics?